Tifosi Seek FC photochromic sunglasses have a rimless design for full coverage (hence the FC) and an unobstructed viewing area in a super lightweight design. Fototec lenses adjust to changing light. 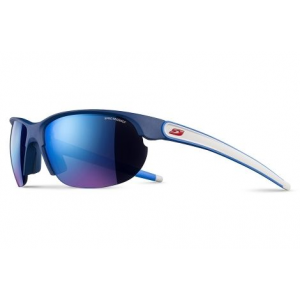 Been searching high and low for a lens that offers maximum clarity' Look no further--the Tifosi Seek FC Photochromic Sunglasses give you that and more. The Fototec photochromic technology automatically lightens or darkens in response to changing light conditions, giving you exceptional clarity. The polycarbonate lens is shatterproof and scratch-resistant, and shields your eyes with 100% UV protection. 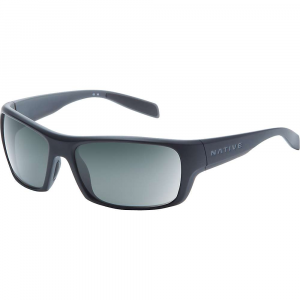 The Grilamid TR-90 high-impact frame resists chemical and UV damage, while the adjustable nose and ear pads provide a comfortable fit and prevent slippage. And when your adventure-seeking is over for the day, keep track of your sunglasses with the included bag and case, so you don't have to go searching for them the next day. Proposition 65 Warning for California Consumers: This product contains chemicals known to the State of California to cause cancer and/or birth defects or other reproductive harm. Built to provide technically advanced eye protection to enthusiasts of all sports and outdoor activities, Tifosi Seek FC sunglasses with Fototec lenses are guaranteed to enhance your sport whether you're running a 10k, riding a century, or heading out on the weekend for a kayak fishing trip. . Grilamid TR-90 arms offer an extremely high alternative bending strength, low density, and high resistance to chemical and UV damage. Smoke Fototec photochromic lenses provide 47.7-15.2% L.T. (light transmission), show the least amount of color distortion, and are great for use in full sun conditions. Fototec lenses transition in 10 seconds (transition time is slower when inside your vehicle due to the UV protection in the windshield). Lenses are made of scratch-resistant, shatterproof polycarbonate. Optically decentered lenses eliminate distortion and prevent distracting magnification. Hydrophilic rubber nose pad and earpieces ensure a non-slip fit. Adjustable temples and nose allow for customizable comfort. 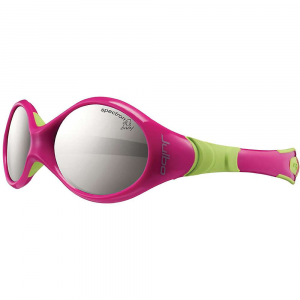 All Tifosi sunglasses provide 100% UVA/UVB protection. 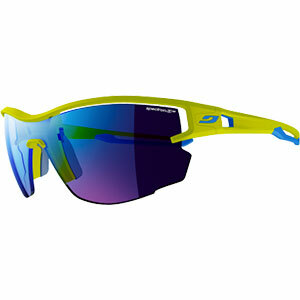 The Tifosi Seek FC Sunglasses provide full coverage when youre playing in the outdoors. Sometimes performance glasses are too narrow and dont seem to fully protect your eyes when youre leaning over in cycling position, or out on a dusty trail. With this larger coverage also comes better protection from harmful UVA and UVB rays and minimized distortion thanks to the shatterproof polycarbonate lenses, while the Glare Guard reflective lens coating helps reduce eye fatigue so you can go all day.